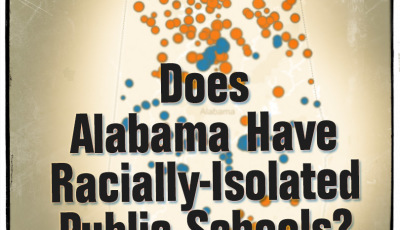 These are the numbers that show an Alabama school district whose racial and ethnic diversity has been growing steadily for the past ten years. 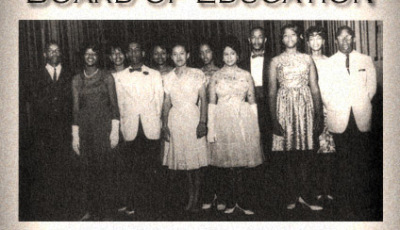 This story is important because, 60 years after the landmark Brown v. Board of Education decision, this community is still wrestling with what it means to accept children of all colors and educational backgrounds into their community schools and embrace the academic challenges that those different educational backgrounds bring with them. 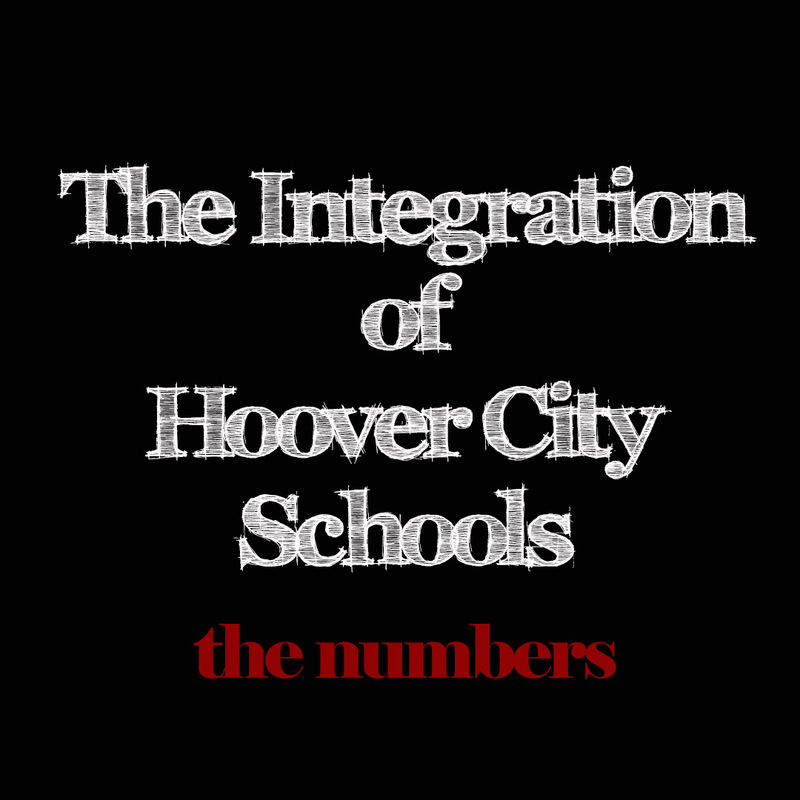 Hoover City Schools has long been seen as a leader among Alabama’s school districts. With a healthy local tax base (fifth highest local revenue per pupil in during FY13), school officials and students are seen as “wanting” for nothing. No expense is spared for the athletic programs. School buildings amaze visitors. Administrators are highly paid. Keeping teacher’s salaries competitive with surrounding school districts is a top priority. The Board of Education invests tremendous amounts of local tax money into funding additional teachers and support staff for their schools. The latest personnel report from the beginning of this month shows that 211 of the 1114, or 18.9%, of certified positions are funded with local money, at a cost of $12 million. Nearly half of the support staff, or 294 of 709 (42%) support positions, are funded with local tax money. Given the level of local tax support, the emphasis on athletics, teachers’ salaries, class sizes, it seems like all should be well with Hoover City Schools. Apparently, that isn’t the case. On July 15, 2013, the five-member appointed Board of Education, in a 4-1 vote, approved the Superintendent’s decision to eliminate school bus transportation for non-special education students beginning with the 2014-2015 school year. The community was caught completely off guard. There had been no public discussion of eliminating buses. School bus drivers and aides were informed via a voicemail that they would need to seek other jobs and they would have a year to do so. The Superintendent and other Central Office administrators made a presentation to the community in early August about the terrible financial pressures the system was facing and how running school buses had just become too expensive a pursuit. City Council officials proclaimed that it was a parent’s responsibility to ensure their children get to and from school every day. The Mayor professed that the nearby districts of Vestavia Hills, Mountain Brook, and Homewood did just fine without school buses taking children to and from school. After an overwhelming outcry from the community and questions from the U.S. Department of Justice, the Board rescinded the vote to eliminate buses in December 2013, but now proposes to implement fees for students who ride the school bus to and from school. Originally, those fees were set to begin with the 2014-2015 school year, but that decision has now been delayed for a year. Many have questioned the motive behind eliminating buses. Many continue to question the need to implement fees for students who need buses to get to and from school. The Justice Department is asking questions, too, and though they have not technically approved the implementation of bus fees, nor have they publicly opposed those fees. Having lived in Hoover my entire life, I have seen many changes in Hoover City Schools of which most folks living in other parts of the state are not aware. Those changes are not only in the size of the student population, but also in the diversity of the student population. As of the 2013-2014 school year, Hoover schools’ student ethnic diversity nearly mirrors that of the population across our state schools. Socioeconomically, the percentage of Hoover’s students eligible to receive a free or reduced-price lunch has risen from 13% to 26.5% over the past ten years. That percentage was only 6.75% during the 1999-2000 school year. FYI: Eligibility for free or reduced price lunches is based on the federally-established poverty line. Those income eligibility numbers for the 2014-2015 school year are found here. Basically, a family of four earning less than $31,005 per year is eligible for free meals. That same family of four is eligible for reduced-price meals if they earn more than $31,005 but less than $44,123 yearly. For a long time now, I have struggled with how to share the numbers to show Hoover’s increasing diversity and how that diversity varies across Hoover’s schools. Because school zones are based on where you live, it makes perfect sense that the diversity within a school will reflect the diversity within the neighborhoods zoned to that school. This is particularly evident in elementary schools. Hoover has ten elementary schools. The motion charts below will allow you to see individual schools’ increasing racial and ethnic diversity. There are some nuances to viewing these motion charts. There is no “right” way to look at these charts. They are included to allow you to view student demographics in various ways, broken down by elementary, middle, and high schools. Hoover has one intermediate school with grades 5 and 6 that I included in with the elementary schools. You need to understand which numbers you are viewing. The y-axis (the vertical axis) shows you the percentage of one population of students. The x-axis (horizontal axis) can either show you the schools in alphabetical order, a time progression, or a percentage of one population of students. Up at the top right-hand corner, you choose whether you want bubbles or bars. Use the bars to get a good look at the elementary school population. When you want to track individual schools, be sure to choose “unique colors” in the drop-down menu for “Color”. And check the “trails” box when you want to track particular schools through the bubble perspective. I have considered putting together a tutorial on how to view these charts. I will do so if feedback suggests that would be helpful. Elementary Schools – One interesting way to look at the elementary school chart is to use “order” as the x-axis, use the bar chart, choose one or two schools, and then look at each student population and how the percentage of students in one race/ethnic group grow (or decline) at those schools over time. Total Students – This one is really best viewed as a bubble chart, with the y-axis as the percentage, and the x-axis as time. Check the boxes of one or two of the race/ethnicities to add labels. Make sure each is a unique color, too. The point of this exercise is to show the natural integration that has occurred in Hoover City Schools over the past 10 to 12 years. Increasing numbers of non-White students are attending Hoover’s schools, and that has caused a stir from time to time. Hoover City Schools is one of 46 Alabama school districts remaining under a desegregation order, meaning that school officials are under court order to eliminate vestiges of segregation. 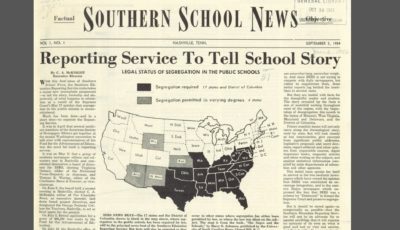 Hoover carried Jefferson County Schools’ desegregation order with them when they broke away from the county district in 1988. School-provided transportation has long been a way of distributing students among schools when residential zoning creates schools more heavily segregated than others. That transportation is what Hoover City Schools’ Board of Education sought to eliminate last July. While few will come right out and say it on the record, many folks believe that the increasing numbers of non-White children in Hoover City Schools have resulted in lower standardized test scores. Further, they believe that when too many non-White children are concentrated in one school, particularly in elementary school, that it is difficult to replicate the academic success of other in-district elementary schools with fewer non-White children. Something else that few will come out and say is that when folks in Hoover speak of “apartment” children, they typically are referring to non-White children. In May 2013, parents at Hoover’s Trace Crossings Elementary School spoke to the Board at their regular meeting and asked them to rezone students at Trace Crossings due to the percentage of students living in apartments outnumbering the students living in the houses surrounding the neighborhood’s elementary school. That was the second time in only a few months that parents from that school had asked for assistance due to the challenges presented by the student population at Trace Crossings. Hoover City Schools faced a similar student population distribution issue during the 2003-2004 school year, when parents at two elementary schools complained of falling test scores and unequal distribution of students living in apartments (believing the two were connected, obviously). School officials’ answer at that time was to redistribute children living in apartments at the beginning of the 2004-2005 school year. To their credit, school officials also instituted a voluntary remedial summer school program for grades two through five for students deemed one or more grade levels behind. While the program was a success, school officials discontinued the program in 2010 stating a lack of funds to continue providing the program. The cost to provide the program to 600 elementary students was between $400,000 and $500,000. However, in the last ten years, the racial and ethnic percentages among Hoover’s elementary schools have become unequal again, as you can see in the motion charts above. Which begs the question: does rezoning students based on race or ethnicity have any lasting positive impact for students or is it done simply to give the appearance of racial and ethnic equality? Redistributing children is a quick numbers fix, but other than diluting test scores, what impact does it have? Is there a better way to positively impact student achievement, distribute a community’s financial resources, and address whatever challenges arise within a school whose racial distribution doesn’t match that of other schools in the district? And if keeping a somewhat equal distribution of students based on race or ethnicity is the better way to address inequalities in education, should geographic zones be adjusted on a frequent and regular basis to avoid the Rezoning Wars that are occurring in Huntsville City Schools? I have always believed that Hoover City Schools could be the model for getting this integration and diversity thing right. Hoover has created a wonderful community with affordable housing and great schools and no barriers (e.g., high property taxes) to entry. Integration of our schools wasn’t forced upon Hoover; it happened naturally. Families of all races and ethnicities have moved into Hoover to gain access to a great school system, knowing that a strong educational foundation is the way to a successful future. Isn’t that what Brown v. Board of Education was all about? Opening doors and allowing opportunities to unfold for children of any color? I can’t help but question whether Hoover’s school community has responded appropriately. Have Hoover school officials laid the groundwork necessary for students of all races and ethnicities to be successful in each of Hoover’s schools? Are the principals and teachers within Hoover’s schools welcoming and embracing all children regardless of the educational foundation they have received? Are resources focused on improving the education of all children, regardless of color or ethnicity? What role does the greater Hoover community play? What role should we play? Are we, my neighbors and me, embracing these changes or resenting them? 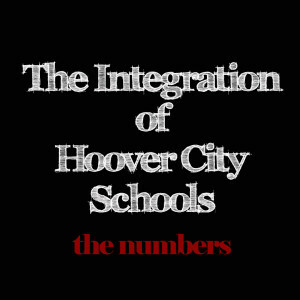 The numbers reflected in the charts above clearly depict the integration of Hoover City Schools. How school officials and the greater school community respond to students’ needs will define the character of my community. I don’t have the answers. But I am going to keep asking the questions. More on the 2004 Rezoning in a future post. The resounding answer to your questions above is “No”. I’m embarrassed to live in a community where all children are not welcomed nor taught equally. I so admire you for being brave enough to tell it like it really is. However, having lived in other parts of the country, “great” is not what I would label a Hoover school. The school buildings are attractive and energized via the extracurricular activities, but the education is at best “mediocre” for the average student. I could write a book about my experience at Trace Crossings before, during, and after the last rezoning. Hoover schools blame poor student performance on everyone & everything else (timer malfunction during a standardized test???) except dare to hold the teachers accountable. If this mentality doesn’t change, the school system will continue to downslide. Great article. Very informative. Another touchy but very real topic that is tied into this is what rezoning does to property values. That is a major concern for home owners as well. Great article. These things need to be discussed openly. I agree with Joyce. The charts are amazing! Thanks, Trish. I would love to see charts concerning the special ed numbers. In our experience the racial demographics were not representative of the school communities. There needs to be a distinction between remediation and special education in Hoover City Schools. Thank you, Joyce. Sharing numbers is always a gamble, particularly when there are lots of them to share. I love motion charts. These interactive charts are wonderful! Laurel, I appreciate your thoughts. We do need to have a serious conversation, and your voice is much appreciated. Hoover is close to my heart, obviously, and it is a microcosm of what is happening in schools with racial and socioeconomic diversity. I would be very interested in hearing more from you. 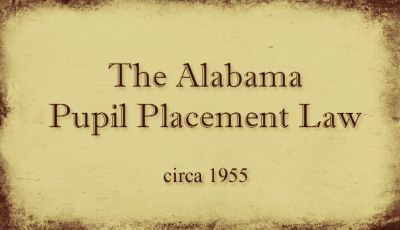 If you would like to have a conversation, please email me at asc(at)alabamaschoolconnection.org. Again, thanks for engaging in this discussion. The resounding answer to your questions above is "No". I'm embarrassed to live in a community where all children are not welcomed nor taught equally. I so admire you for being brave enough to tell it like it really is. However, having lived in other parts of the country, "great" is not what I would label a Hoover school. The school buildings are attractive and energized via the extracurricular activities, but the education is at best "mediocre" for the average student. I could write a book about my experience at Trace Crossings before, during, and after the last rezoning. Hoover schools blame poor student performance on everyone & everything else (timer malfunction during a standardized test???) except dare to hold the teachers accountable. If this mentality doesn't change, the school system will continue to downslide. Thanks, Vickii. Appreciate the kind words.